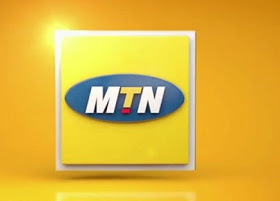 MTN XtraByte is a service that allows eligible customers borrow data on credit when they run out of data while browsing and pay back on their next recharge. I see this as a welcome idea knowing that similar service was launched by MTN some years but was only for airtime (call cards) so giving its subscribers the option to borrow data is a good innovation because many people now prefer to have data on their Smartphones than having call airtime. Am one of those that prefer data to airtime. I don’t know about you. Interesting thing about this offer is that you can borrow airtime through MTN XtraTime, also borrow “data through XtraByte” as long as you are eligible for the services. So both voice and data options are there for you. To check your borrowed Megabyte balance, dial*606#, then select check balance. If you have enough credit on your line, you will receive a message like this after dialing the code; which means you can’t borrow until you have less than N12 in your balance. For instance, if a customer owing N110XtraByte does a recharge of N400, the N110 owed is first deducted from the recharge, then N290 will be loaded into the customer’s main account.